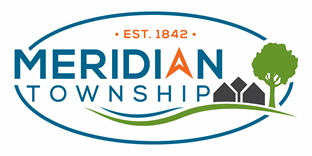 MERIDIAN TOWNSHIP, MI — On Thursday, February 21, 2019, the Meridian Township Police Department held its annual Awards Ceremony. The event recognized contributions made by citizens, departmental volunteers, and law enforcement officers during the past year. In addition, the 2018 Officer of the Year was awarded. Michael and Krissann Kelly were recognized for their volunteer work with parking enforcement. Michah Passerby went above and beyond by being good witness during a retail fraud in progress. Brian Bertsch observed an elderly gentleman fall and provided aid until officers responded. The gentleman suffers from dementia and had been reported missing by his family. Christopher Osburn placed himself in harm’s way to aid a victim of an attempted armed robbery. Officer Jacob Cortez and Officer Jeremy Hamilton (East Lansing PD) helped three unconscious victims escape from a vehicle following a car vs. a telephone pole crash. Deputy Cory Daza (Ingham County Sheriff’s Office) apprehended an armed robbery suspect after a vehicle and foot pursuit. Deputy Robert Ottke (Ingham County Sheriff’s Office) and Deputy Adam Jaime (Livingston County Sheriff’s Office) responded to a car vs. motorcycle crash and provided aid to the victim with life threatening injuries. Officer Austin Dietz, Officer Mike Hagbom, Officer Erin Linn, Officer Kristi Lysik, and Officer Lerico White worked together during a retail fraud in progress and apprehended four suspects who had stolen over $250,000 worth of merchandise in Michigan and Ohio. Officer Aaron McConaughy along with Officer Andrew Tobias and his K-9 Yukon located a missing subject during inclement weather who was suicidal, intoxicated and had taken prescription medication. The subject was transported to the hospital and received treatment. Officers Adam Slavick and Doug Strouse discovered an illegal drug operation while investigating a home invasion. Their efforts resulted in the seizure of a significant amount of illegally obtained money and drugs as well as the apprehension of a dangerous criminal. Lieutenant Rick Grillo, Officer Travis Bove (East Lansing PD), Officer Dan King, Officer Stephanie Lewis, Officer Ian Mandernack, Officer Ben Mommersteeg (East Lansing PD) and Officer Lerico White were recognized for their teamwork while responding to a home invasion in progress. The investigation resulted in the apprehension of a dangerous felon. Sergeant Chris Lofton has been a dedicated employee of the Meridian Township Police Department since 2004. He is a widely respected shift supervisor whose professionalism and work ethic serve as an example to others. Throughout the years, he has taken on various responsibilities in the Department. These responsibilities include his service as a Patrol Officer, Investigator, Field Training Officer, Hostage Negotiator and Crisis Intervention Team Instructor. He currently is a Sergeant commanding one of the Department’s road patrol shifts. The Department is proud to recognize Sergeant Chris Lofton as the 2018 Officer of the Year. · Gallagher Law/Simplified Tax, 6025 N. Hagadorn, East Lansing - vacant bank in Carriage Hills. · Portnoy and Tu, 2476 Jolly Road, Okemos. Relocation for dentist office. · Panera Bread, 2080 W. Grand River Ave, Okemos. Demo and rebuild BD Mongolian Grill. · Copper Creek Condominiums, 45 acres NE corner of Haslett & Van Atta. 102 residential lots. · O’Reilly Auto Parts, 2703 Grand River Ave East Lansing. Former Paul Revere Tavern Site. · Subway, 2160 W. Grand River Ave, Okemos. For more information or questions regarding specific projects, please click on the link below or call Chris Buck at 517-528-4770. You can also email Chris at chris@cjbuckconsulting.com.